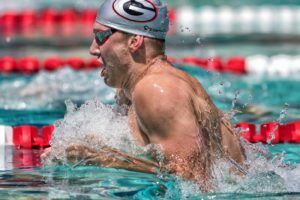 Katie Ledecky, arguably the most marketable swimmer to turn pro since Michael Phelps, has signed a sponsorship deal with swimwear brand TYR, announcing the partnership at the TYR-branded Pro Swim Series stop in Santa Clara, California. Ledecky met with the press this morning in Santa Clara to discuss her decision to sign TYR and break down her new life as a professional… which Ledecky says really isn’t that different in terms of her day-to-day schedule. 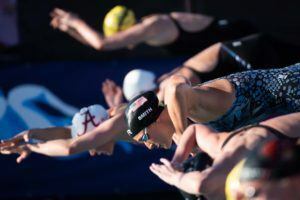 The Olympic champion did emphasize that she liked TYR‘s passion for growing the sport both nationally and globally, and that she felt they were the brand that could help her do that to the best of her abilities. In this sense, comparisons are being made about Ledecky stepping into Michael Phelps’ footprints. 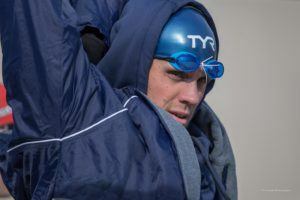 Phelps has always been very outspoken about growing the sport of swimming, whether it’s teaching as many small children to learn to swim as possible or performing as a country on an international stage. Ledecky, now on the platform of a professional swimmer, made it very clear this morning that she has similar goals in that regard. Congrats to Katie! 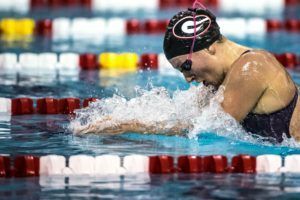 She is doing great things for the swimming community and I am looking forward to watching her progress as a pro! Good hear the pros are focusing on LCM. 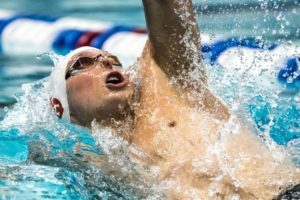 It’s pretty obvious, but NCAAs is so exciting and intense, many of the best US swimmers can’t transition from SCY. I would still like to see Olympic year NCAAs in LCM. I want to know the number?